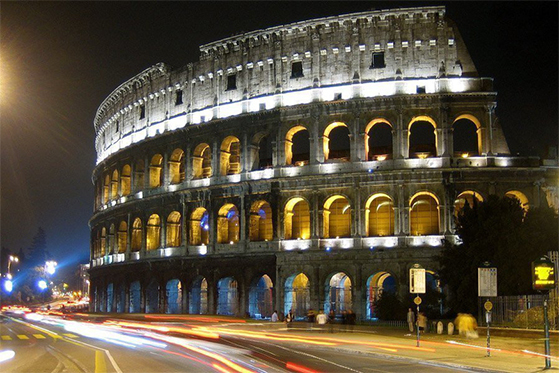 The two courses explore the rich history and architecture of Rome by both analyzing it and exploring it through new technologies and social media. Participants who successfully complete all the requirements in all classes will earn a total of six (6) UMBC undergraduate credits (ART 329 & ART 369). Rome, Italy’s capital, is a sprawling, cosmopolitan city with nearly 3,000 years of globally influential art, architecture and culture on display. Ancient ruins, such as the Forum and the Coliseum, are situated within its modern urban landscape and evoke the power of the Roman Empire. This program utilizes the city as a living laboratory, including field trips to the Forum, the Coliseum, the Pantheon, Sistine Chapel, The Vatican, Borromini’s San Carlo alle Quattro Fontane, Borghese Gallery, Bernini’s Fountains, Ponte Sant’Angelo, and the Roman Catacombs. (ART 329) Kimberly Anderson is an art history adjunct professorat UMBC and the Maryland Institute College of Art in Baltimore. Recently, she co-authored a textbook and corresponding workbook entitled Understanding Visual Artforms in Our World, now in its third edition. (ART 369 or ART 392) Lynn Cazabon is a professor of art in the Department of Visual Arts at UMBC. Her teaching expertise encompasses analog and digital photography, time-based media, and public art. Professor Cazabon’s creative projects have led her to work all around the U.S., as well as in Canada, France, Spain, Poland, Romania, Russia, and Taiwan. In 2015, she received a Fulbright Fellowship to teach in Latvia.